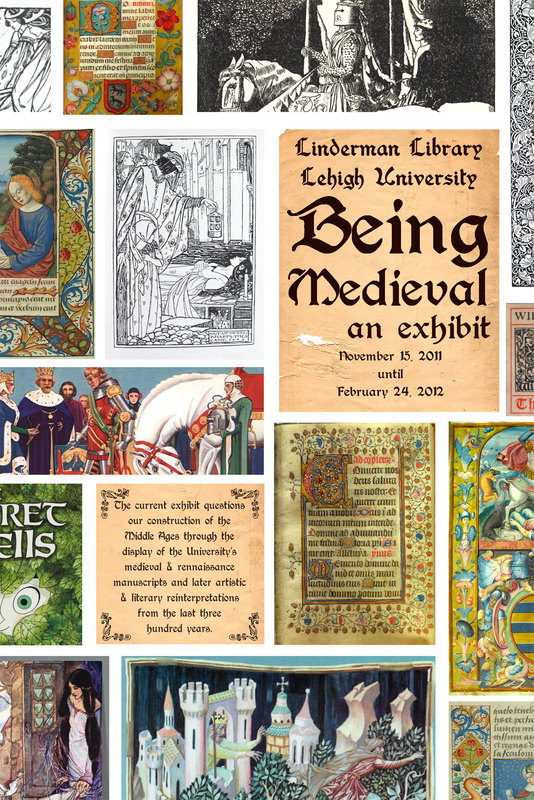 An exhibition on what it means to be Medieval as represented by Medieval and Renaissance manuscripts held by Lehigh University's Special Collections and a variety works, both scholastic and popular, which re-interpret "Medieval" and the "Middle Ages" since the eighteenth century. Please visit the library's blog, Lehigh's Sages of the Pages, Medieval Manuscripts, Monty Python, and Harry Potter at Linderman. Orginially on view in Linderman Library, November 15, 2011 to February 2012.